In classical antiquity, beginning in 573 B.C., Nemea hosted international athletic competitions like those at Olympia, Delphi, and Isthmia; the games at the four sites constituted the Panhellenic cycle, and the victors were the most famous athletes of antiquity. Nemea was never a city-state but served as a religious and athletic festival center where the Greek world assembled every two years under a flag of truce. 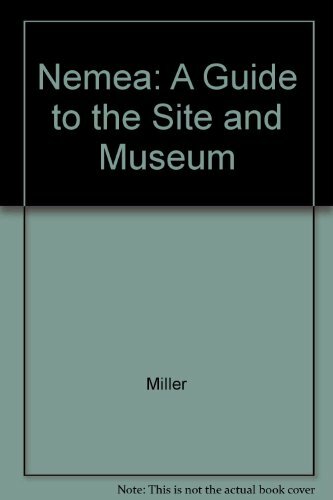 Since 1974, excavations sponsored by the University of California at Berkeley have revealed many details of Nemea's history, as well as evidence for the nature of the buildings and other facilities which were part of the festival center. These discoveries, together with smaller finds in the museum and ancient literary and epigraphic sources, form the basis of a new and sharply defined picture of the Nemean Games. This guidebook is an introduction to the history and physical remains of the festival center and a complement to detailed final publications on the excavation now being prepared.